Metaphysical Cleansings There are 2 products. 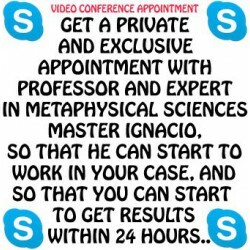 Eliminate bad karma and unlucky trends, start new this week... Make a Skype appointment today with online psychic medium Master Ignacio and start getting results within 24 hours after he begins to work in your case. 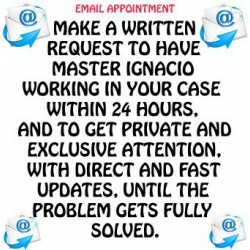 Suppress bad karma and bad luck, start new this week... Make your written request today to a worldwide known psychic, medium and specialized healer to start a new life free from negative interferences.